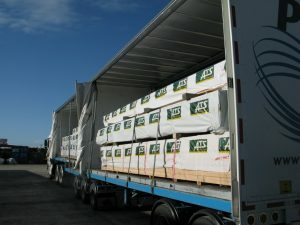 ATS Timber – the easiest timber company to deal with in New Zealand! 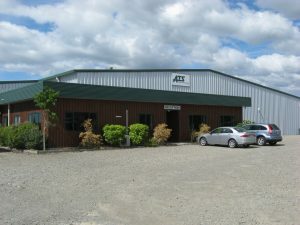 Established for over 20 years, ATS Timber is an industry leader in the solid timber market in New Zealand. An extensive range of structural and finishing grade timbers in Radiata Pine, European Spruce, Douglas Fir and Macrocarpa in 100's of different variations - grades, treatments, lengths, finishes and profiles. ATS Timber partners with over 300 Approved Resellers nationwide to offer efficient distribution of our range to the market, both with stock ranges and special order ranges. Pursuing sustainable growth through a relentless committal to our quality, our people and our clients. Significant year on year growth in recent years as seen ATS Timber capitalise on market strengths and its unique competitive advantage set the industry benchmark even higher. We are leaders not followers. This growth doesn’t come easy and it is the direct result of the highly motivated and focused team we have from sales through to dispatch and processing an everyone in between. Every initiative must pass one challenge - will it make it easier? A large increase in construction activity over the past 3-4 years driven by the demand in Auckland and the rebuild of Christchurch with a $32bn building boom forecasted by 2016 paints a bright picture for the industry. This is 23% higher than previous boom in 2007. Over the next three years to 2017 the total estimated construction boom equates to $100bn. Leading the market through excellence in innovation and sustainability. Markets are rapidly evolving in today’s society with changing customer tastes and demands. The timber industry is not exempt from this. ATS Timber remains at the forefront of timber innovation and has recently launched a European Spruce range that has been certified to New Zealand standards to meet the demands of the market of a high visual, solid architectural timber range. Our R&D team are constantly working on bringing new timber innovations to the market and there is always some exciting new initiatives being worked on. We are always looking at how things can be done better and bringing more value to our customers by innovating both new and existing products and processes. Brands you can trust, backed by a team you can rely on. 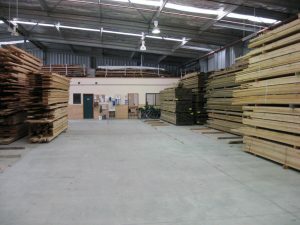 Being a trusted wholesaler, manufacturer and importer of solid timber products to Home Improvement Warehouses and Building Merchants NZ wide, offering them unparalleled service and support from small requirements through to complex projects. Our service and support doesn’t stop there. We offer expert advice and material to all stakeholders including architects, engineers, contractors, developers and home owners.We are committed to being your trusted advisor for your timber projects – big or small. We continue to put large emphasis on growing and developing our trusted family of brands that are used across residential, commercial, civil and DIY markets nationwide. Brands you can trust, backed by a team you can rely on. We look forward to becoming a key partner to your next timber project.